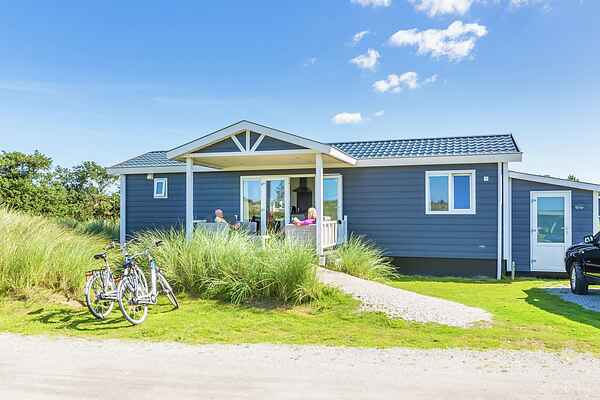 Duinchalet is a comfortable and attractive holiday chalet near Hollum on Ameland. The kitchen is luxuriously equipped and the bedrooms have box springs beds. The bathroom has a shower, a sink and a toilet. Outside on the terrace you can enjoy the lovely sunshine. This accommodation is located in part of Boomhiemke , which is fully developed, by the introduction of new lodges.